Japan’s new Development Cooperation Charter will allow for non-combat military aid and prioritize Southeast Asia. The Japanese government’s new Development Cooperation Charter will let Japan send aid to foreign militaries for non-combat use under its Official Development Assistance (ODA). The move will increase the tools available for Japan to build close military partnerships with countries around the Asia-Pacific region amid cool ties with China due to a territorial dispute over the Senkaku/Diaoyu Islands in the East China Sea. The Japanese government has been interested in revising and updating the charter since at least last April as part of a broader adjustment of Japan’s defense posture under Prime Minister Shinzo Abe and the Liberal Democratic Party. Based on a copy of the Development Cooperation Charter, Bloomberg News reports that the new charter will focus only on aid for non-combat purposes. 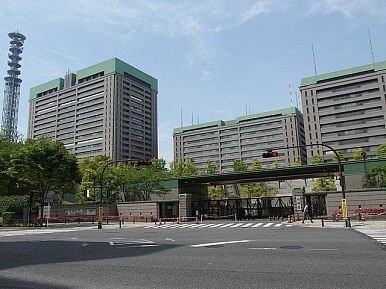 According to that report, the charter will update a 2003 document that had a considerably narrower scope, noting that “aid for military purposes, or which aggravates international conflicts, should be avoided.” The charter notes that recipients of Japanese aid must “share universal values,” including respect for the rule of law and basic human rights. The move fits with Abe’s broader plans to grow Japan’s defense posture to meet contemporary challenges. Since returning to power in December 2012, Abe has initiated multiple changes to Japan’s military and defense diplomacy. Most notably, last summer, Abe’s cabinet passed a resolution reinterpreting Article 9 of Japan’s post-war pacifist constitution in a way that would allow for the Japanese military to exercise the right of collective self-defense. Additionally, Japan lifted a self-imposed moratorium on defense exports. Under Abe, Japan is pursuing military deals and coproduction agreements with a variety of countries, including India, France, the United Kingdom, and Australia. Interestingly, the new charter maintains the stipulation that military aid should be avoided. Based on current reports, the charter will likely focus primarily on Japanese aid for civilian and disaster relief programs for foreign militaries. According to Bloomberg, Southeast Asia is a top priority region as per the charter. Depending on the precise wording of the charter, Japan may be able to justify financing for “non-combat” surveillance assets for Southeast Asian states, including radar systems, maritime surveillance aircraft, and other intelligence, surveillance, and reconnaissance (ISR) hardware. China disputes several islands in the South China Sea with multiple Southeast Asian states and would find Japanese military aid to these states irksome, to say the least. ODA, in general, has been a major tool of Japanese diplomacy since the end of the Cold War. Japan has been a major donor of overseas aid to a wide variety of countries in Asia and across the world. Given the constraints on Japan’s military diplomacy under its constitution, Japan instead used its ODA as a way to exercise influence globally. This approached meshed well with what some scholars have described as Japan’s mercantile realist approach to international affairs. Since Japan could not overtly advance its military position globally, it focused on promoting its economic position. Similarly, Japan’s ODA for developing states focused exclusively on civilian assistance projects. In light of news of a potential radar deal, it is worth putting things in broader perspective.